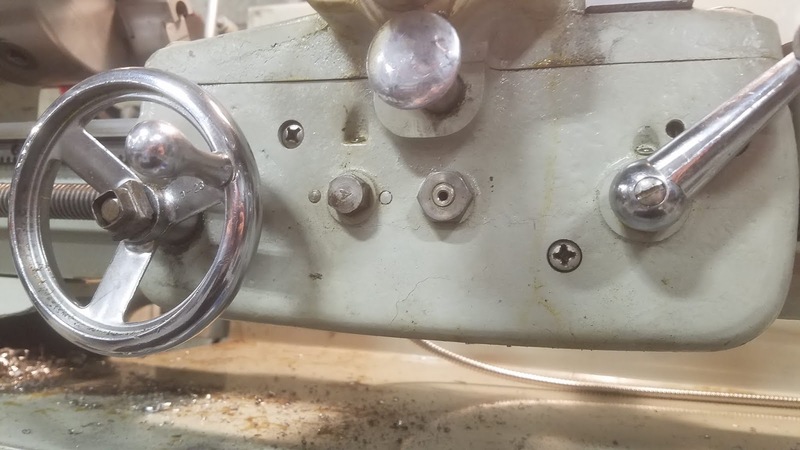 The carriage, cross slide, and compund rest are all in fantastic condition. 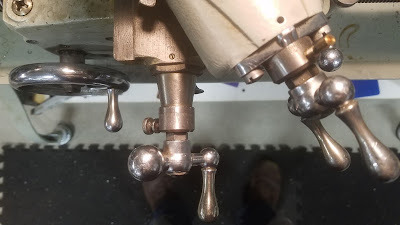 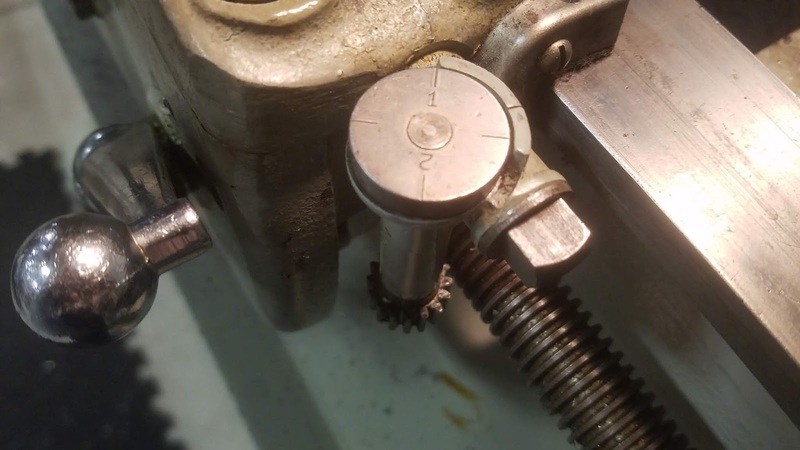 Some of the components have likely been replaced over time with OEM castings, but there is minimal slop in the ACME threads. 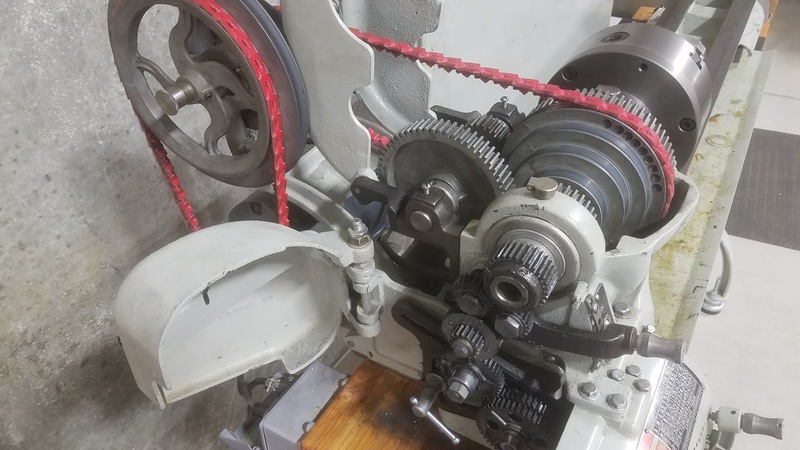 The pulleys and threading gears are all in great shape as well. 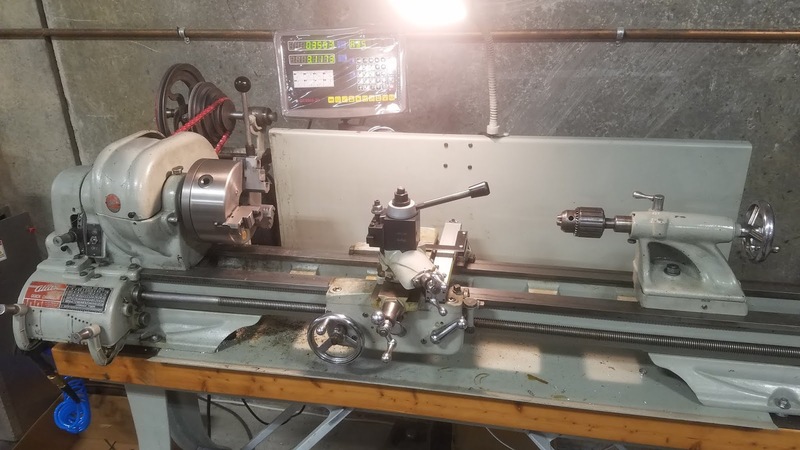 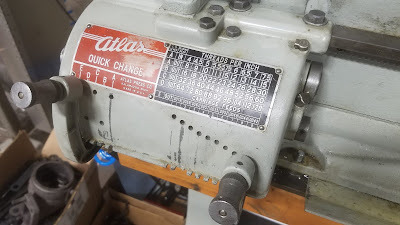 While it's tricky to change out spindle speeds with the variable length belt, the 'Quick Change' threading feature works flawlessly, minus some noise from the straight cut gears. We decided several upgrades were in order. 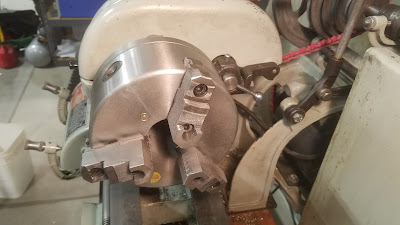 First order of business was to replace the 4 jaw chuck with flat cut jaws with a newer 3 jaw chuck with bored jaws. 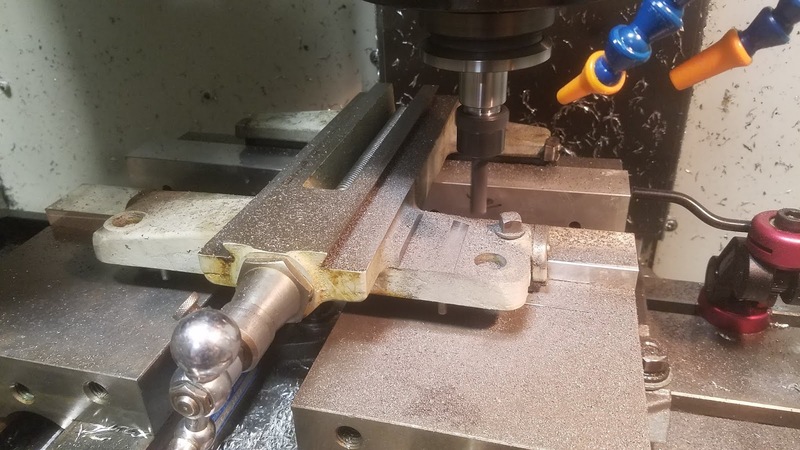 Workholding is no longer a hassle, and keeps concentricity tolerances close enough for our purposes. 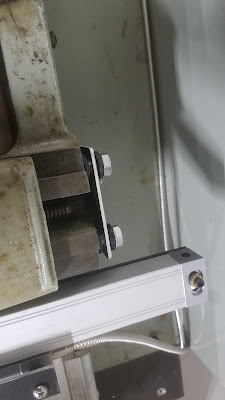 Next was the tooling problem. 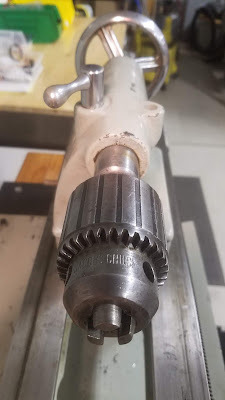 The original tool post was very...basic, and not rigid or modular enough for what we intended to do with this lathe. 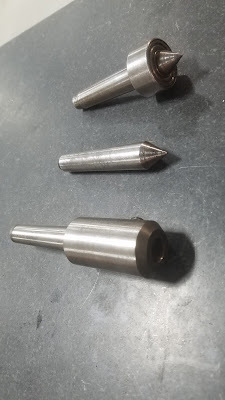 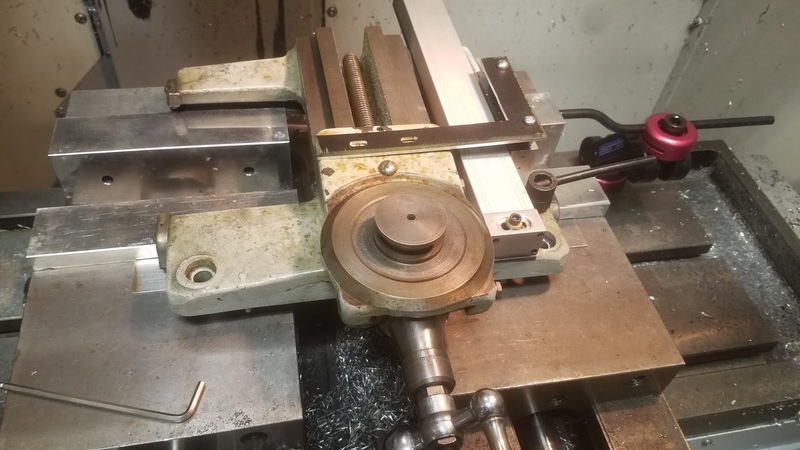 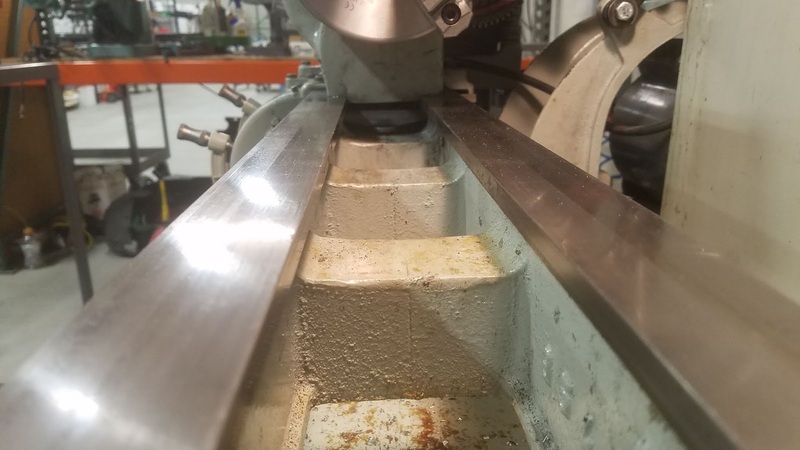 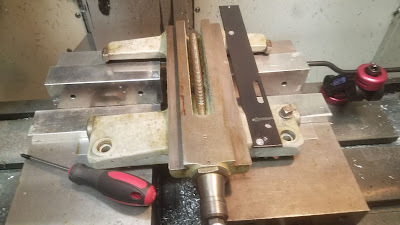 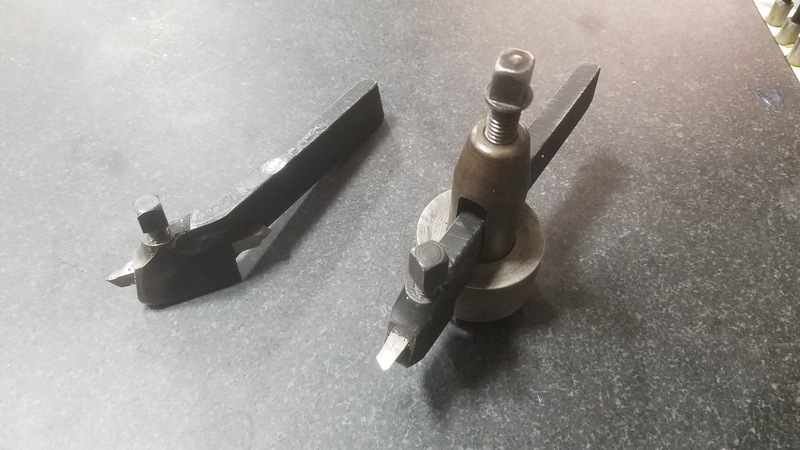 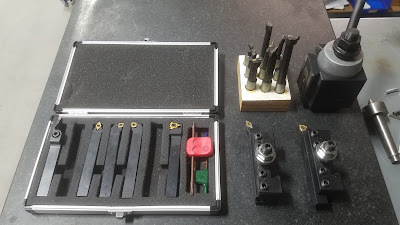 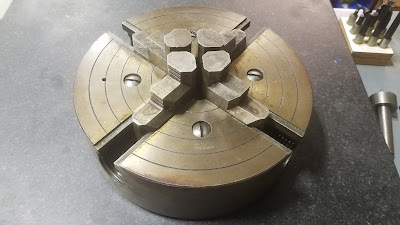 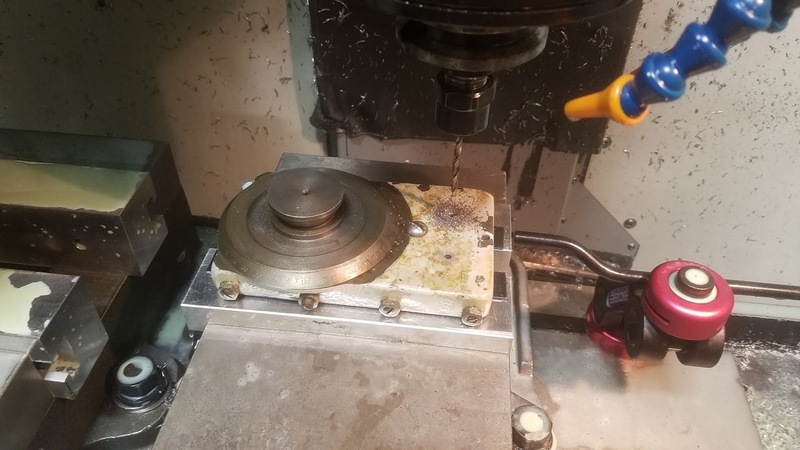 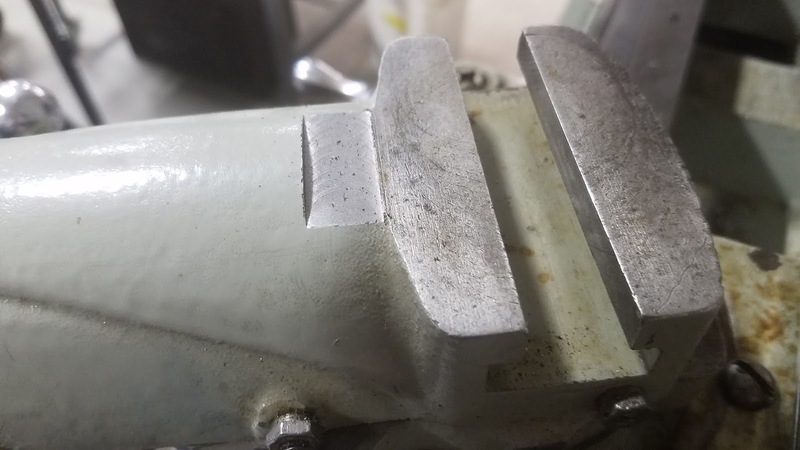 After a quick modification to the compound to accept the new quick change tool post, and some machining to fit it into the T-slot, we now have 1/2" carbide tooling instead of 1/4" HSS. 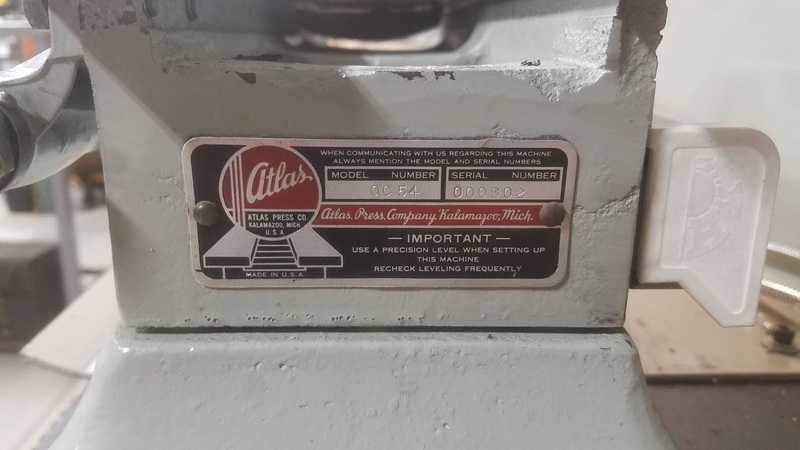 While the ACME thread on the compound is almost perfect, there is a bit of slop in the cross slide, and no graduated markings at all on the carriage wheel. We decided to mount an aftermarket digital readout onto the carriage and cross slide to make hitting our tolerances a lot easier and pain free. 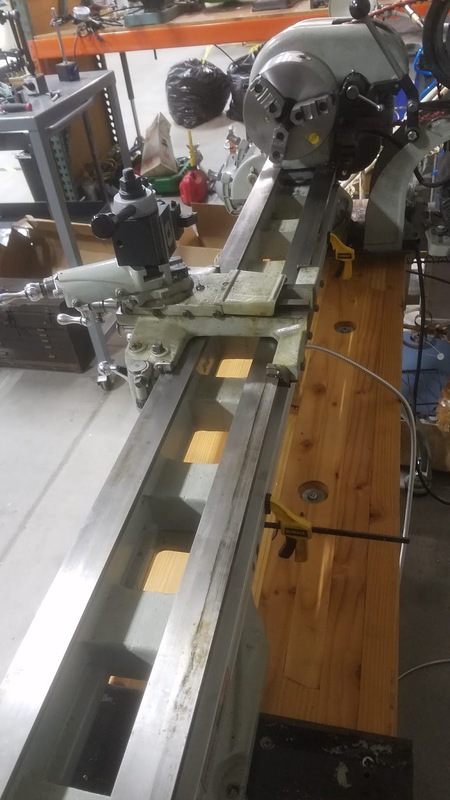 We mounted the linear encoder for the carriage behind the rear way, and fabricated a bracket that would bolt to the back of the carriage which conveniently had two tapped holes in it from the manufacturer. Mounting the encoder for the cross slide was much more of a challenge and required some heavy modifications to the carriage. We clamped the carriage into our CNC Mill, machined some flats, and attached a rail we designed to mount the encoder. 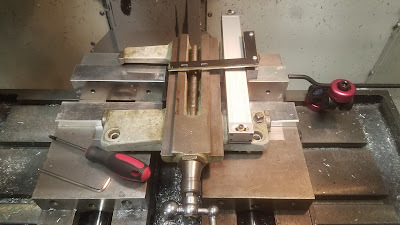 Tapping a few holes in the cross slide allowed us to attach another bracket, and now we have a digital display of our two main axes position! 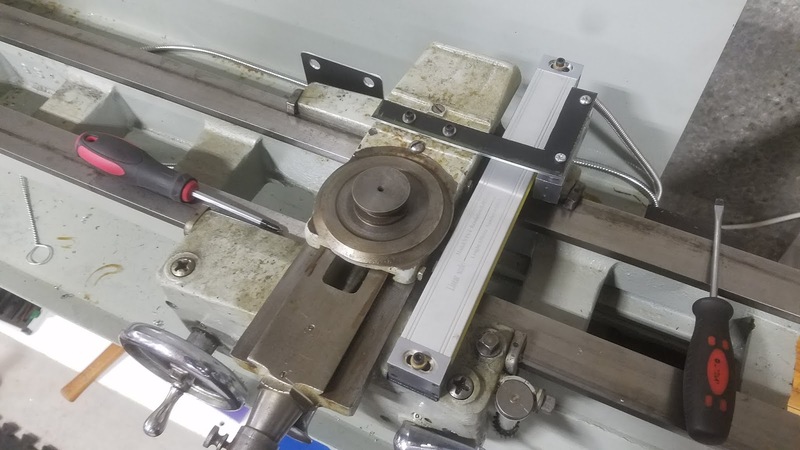 This makes everything we do on the lathe much easier; from prototyping to modifying existing product for customers to creating new parts for our various in house projects like our box folding machine!